<< Back GPO 312L with drawer. The call exchange button is converted to a mute to make a useful addition. This is a very nice example of a GPO ivory 312L with drawer. It has been fully restored and has been totally stripped down and rebuilt after each part has been cleaned and polished. 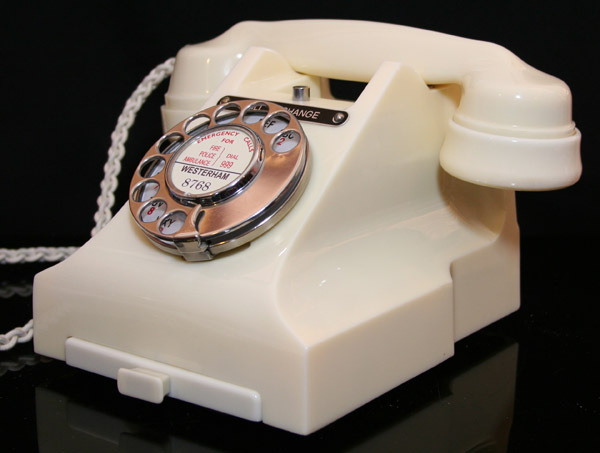 It has been fitted with an electronic microphone, a very best quality hand plaited reproduction British manufactured handset cord, a GPO specification round plastic line in cord with a UK telephone plug socket and the call exchange button now works as a useful mute button. 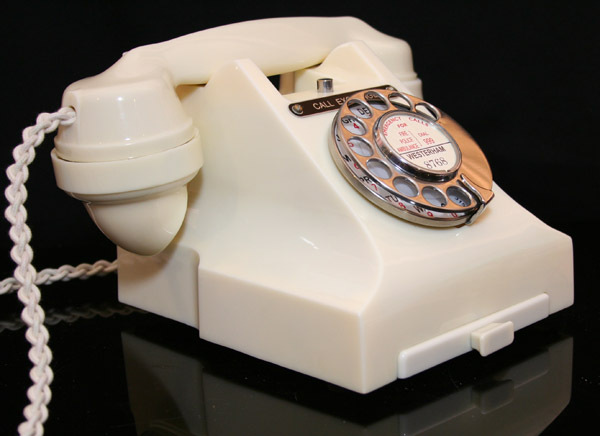 This telephone has a genuine GPO no 12 chrome fronted dial and has been set up to work properly using a line simulator designed to set the dial pulsing correctly etc. It was then tested on my own BT line to make sure it is working perfectly and ready to simply plug in and go. 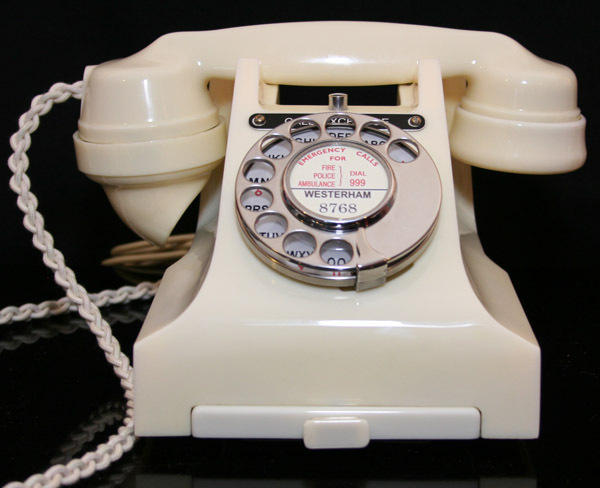 If you want to be very picky the drawer front is slightly lighter than the body of the telephone as you can see. 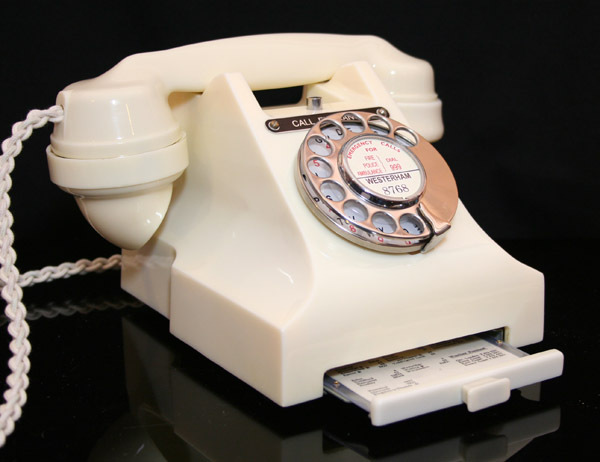 This telephone is priced to sell quickly.